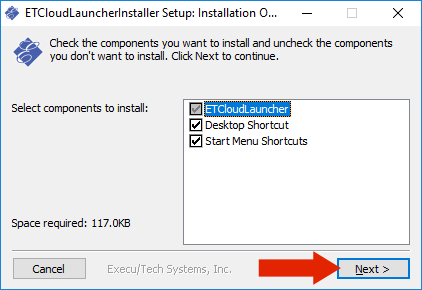 This application should be installed on every computer that needs access to the hosted software. 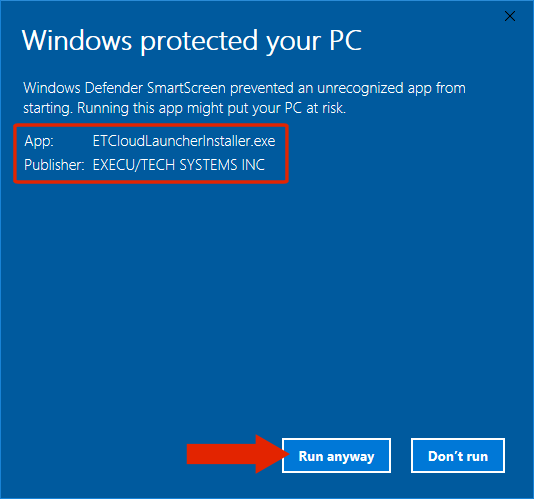 Because this is a relatively new application, when you install you may get a SmartScreen warning. As more customers download and install this application, the warning will stop appearing. 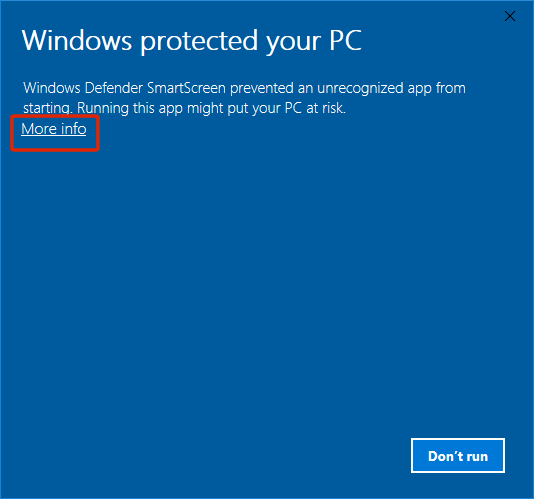 If you see the window titled "Windows protected your PC" click on More info. 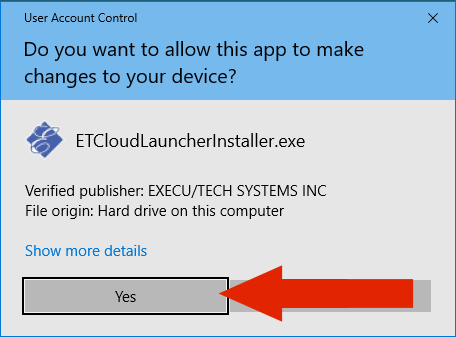 If you see the window asking "Do you want to allow this app to make changes to your device?" click Yes. 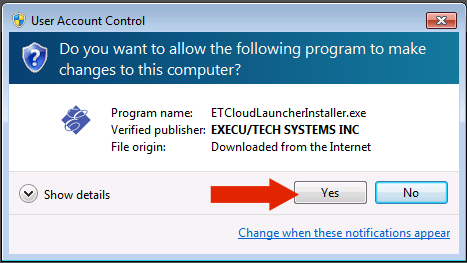 After clicking yes you may be asked to provide Windows Administrator credentials. If you have Windows 7, the window looks like this. 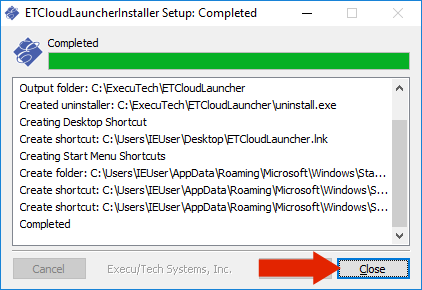 In the first Installation screen, click Next. Don't change the Destination Folder. 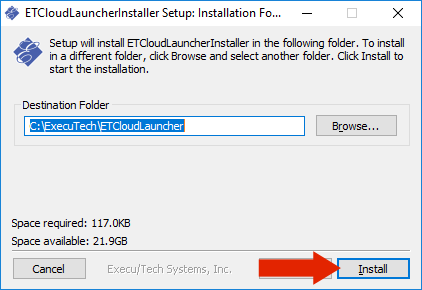 The hosted application will rely on this to save files locally. These files might be reports, exports, spreadsheets, etc.